Your shower enclosure should have an emergency rescue device handy in case you slip and fall. They can alert emergency responders of a fall and open lines of communication so operators can walk you through what to do. Increased lighting can help combat issues that lead to falling. Especially, if you have bad vision, a lack of light can make foot placement a daunting task. Adding additional lights or having your shower enclosure in direct light from a window can help. Having your walls painted a light colour will also make seeing potential dangers easier. Getting in or out of your shower enclosure is when the majority of accidents usually happen. Grab bars are hugely helpful here. You can use metal or coat them in a poly-grip material and then use them as a railing when you enter or leave your enclosure. Have the doorway reach to ground level, so there’s no need for you to step over anything and potentially trip. You can even have the shower head far enough back that a door way isn’t necessary. All shower enclosures should really have their floor coated in non-slip material. You can also have your floor pre-made that way. It’s also a good idea to extend the non-slip material some of the way out of your shower enclosure as well, to cover for any spills. Though they should be used as a last resort, soap holders and towel roads should also be reinforced in case they are handy during a fall. Having to overextend yourself to reach different items carries a high risk of absolutely falling. It increases your likelihood of slipping on something or displacing your weight wrong. Furthermore, overexertion can happen if you are constantly stretching beyond your limit. When this happens, an accident can easily follow. Make sure your shower enclosure is large enough that you can move around freely to accommodate reaching all your body parts easily while you shower. Build in storage areas near the showerhead where you spend the most time. 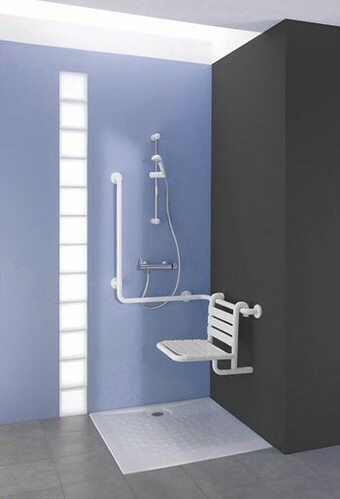 Add in hand fixtures, so if you do need to reach, you can stabilize yourself. No one likes losing their sense of mobility. Luckily, people today have more options than ever when it comes to accommodating their lives. Nowhere is this truer than with shower enclosures. Take stock of some of the limitations you’re noticing in yourself and then plan the perfect enclosure for your needs. Showering is something you can continue to do every day, so long as you plan appropriately. Louisa Jenkins is an interior design specialist. 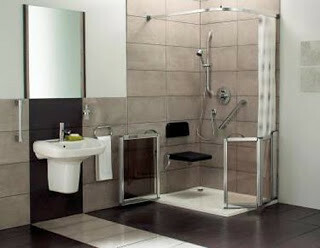 She usually focusses on design, but here she offers advice to those looking at the best way to tailor their shower enclosures if they suffer with mobility issues.